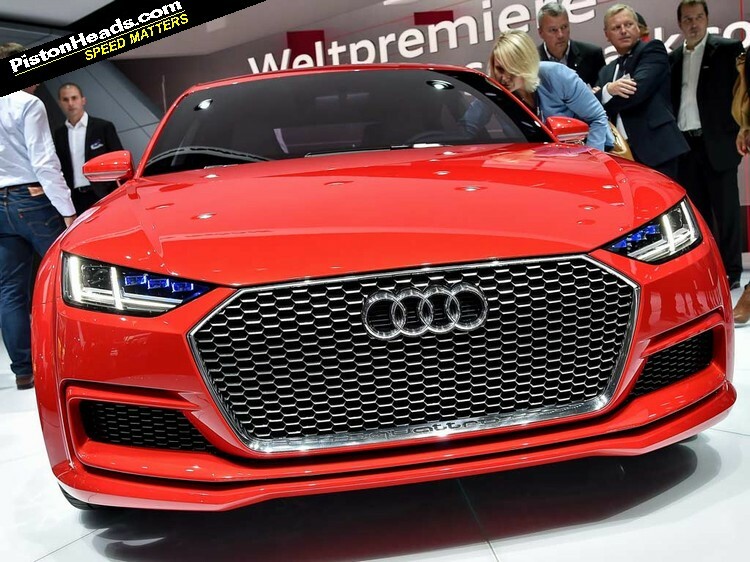 People have been suggesting that Audi has had its corporate shark-jumping moment for years, but this really, really, really might be it - a four-door version of the TT. 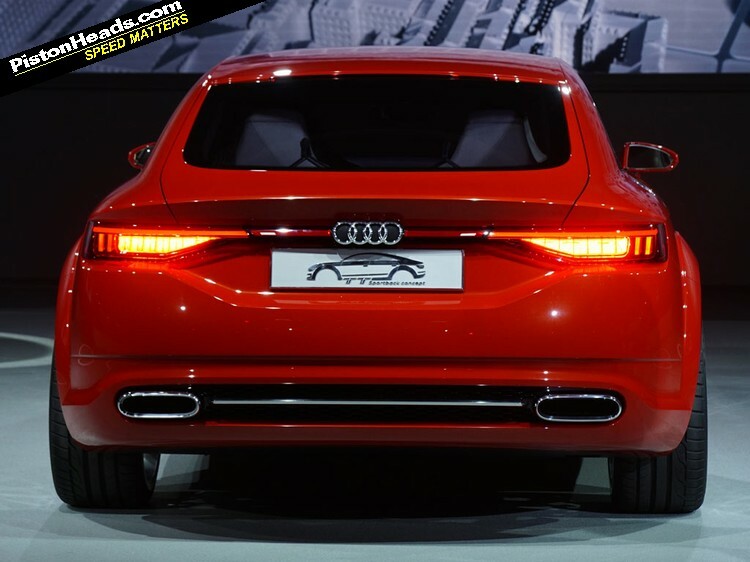 All we need now is for the next Q7 to launch with an cabriolet sister and Ingolstadt will have every single niche covered. 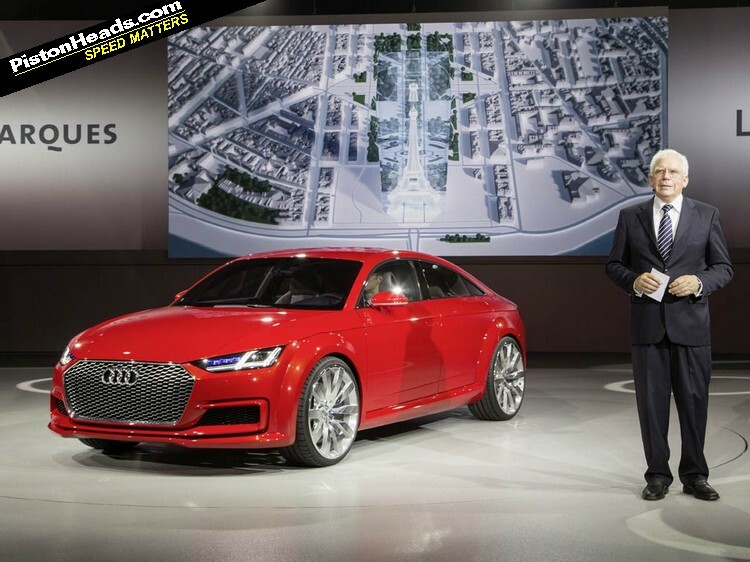 The Audi niche busting continues apace! Still, cynicism aside, it's a fine-looking thing, isn't it? 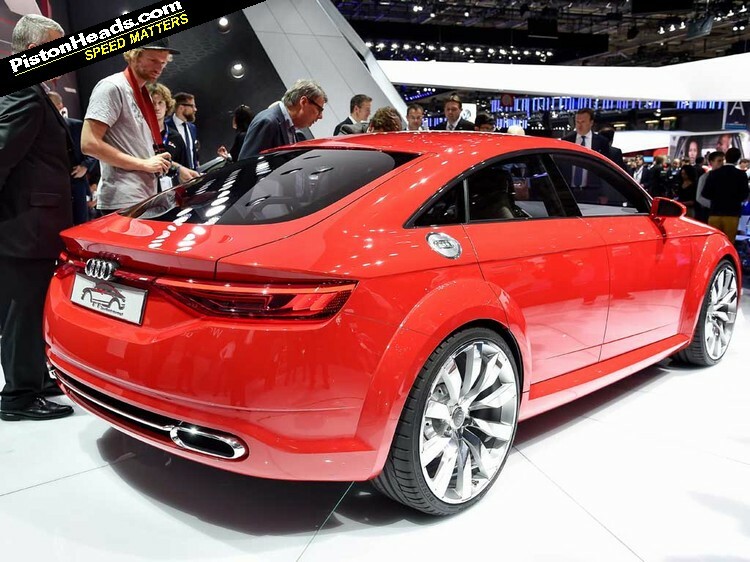 Officially the TT Sportback is just another in Audi's line of TT-spun concepts - we've already had the Allroad Shooting Brake and the TT Offroad, and we're told that any (or all) of them could make production. 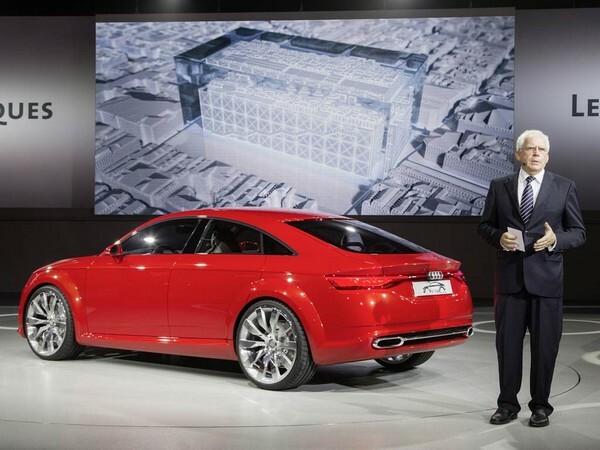 But the company's R&D supremo, Ulrich Hackenberg, was also happy to drop some broad hints that this TT-with-practicality could make it into dealerships in the not-too-far-distant. If it did, you just know it would sell like winning lottery tickets. 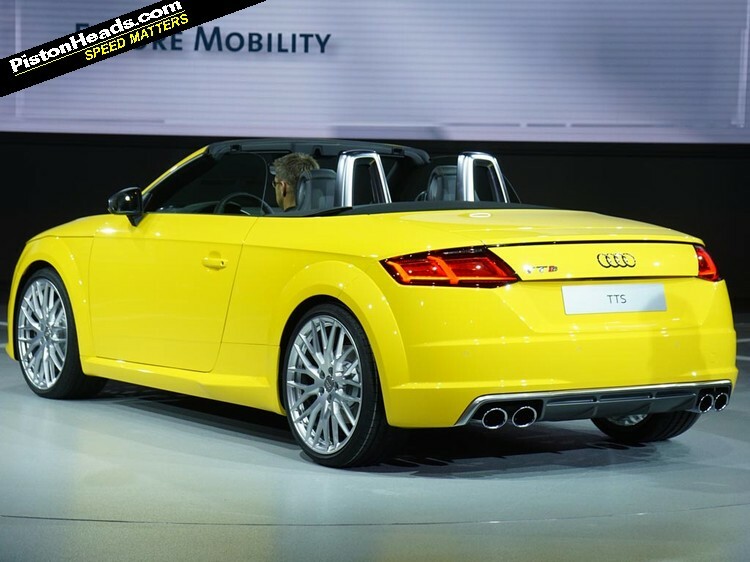 As you'd expect it's slightly longer than the TT Coupe, but only 29cm and with an extra 12cm put into its wheelbase. 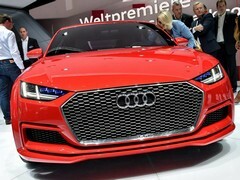 The concept is powered by the 400hp version of Volkswagen's 2.0 litre EA888 turbo four that Audi sources suggest will be making its debut soon. The concept's interior is so close to that of the TT Coupe that if feels like a production car already. And there's more TT news from Paris with the official unveiling of the roadster version of the third-generation car. 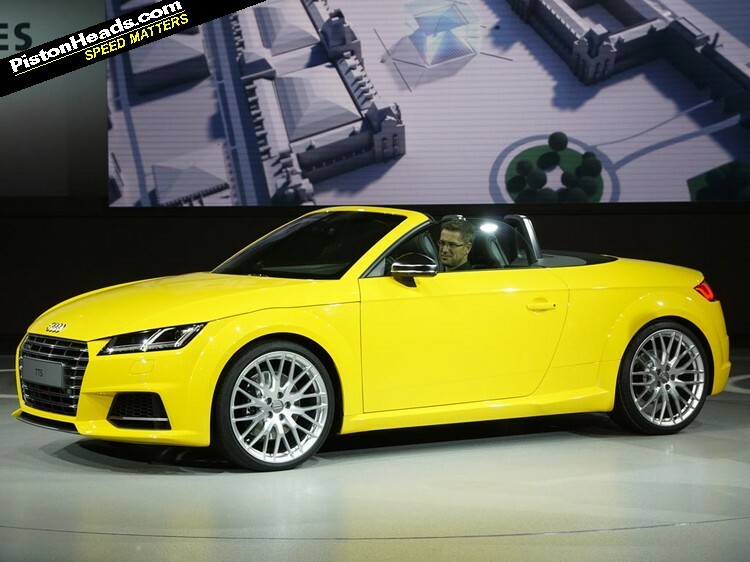 Only the TT-S was on the stand, with a 300hp version of the 2.0 litre engine, but the standard car will launch in the UK at the same time with orders opening in November and the first cars expected to be delivered next March. Prices will start at £31,955 for the diesel-powered Ultra roadster. This would've been just the thing in the conversation I had with my old man at the weekend which started with - 'why the f#*k is there a 4-door M4 when you can get an M3?'! 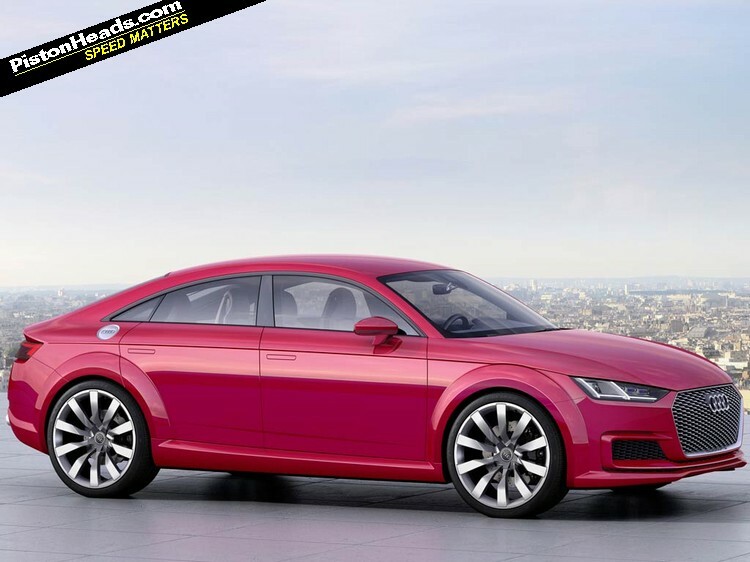 I'm not a big fan of either the TT nor Audi, but I like this. 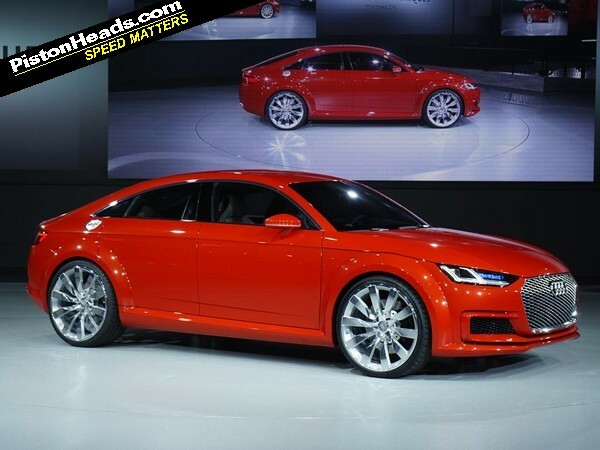 Build a decent RS version and I will come and look, certainly better looking than the bloated A5 and dull A4. 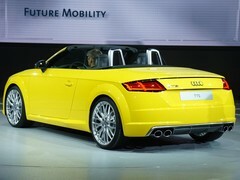 No doubt it will come with TT premium pricing though. 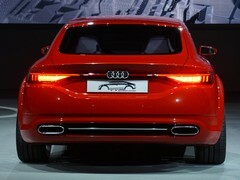 So it's a long-wheelbase MBQ based five-door fast-back... or Skoda Octavia, as it's otherwise known. 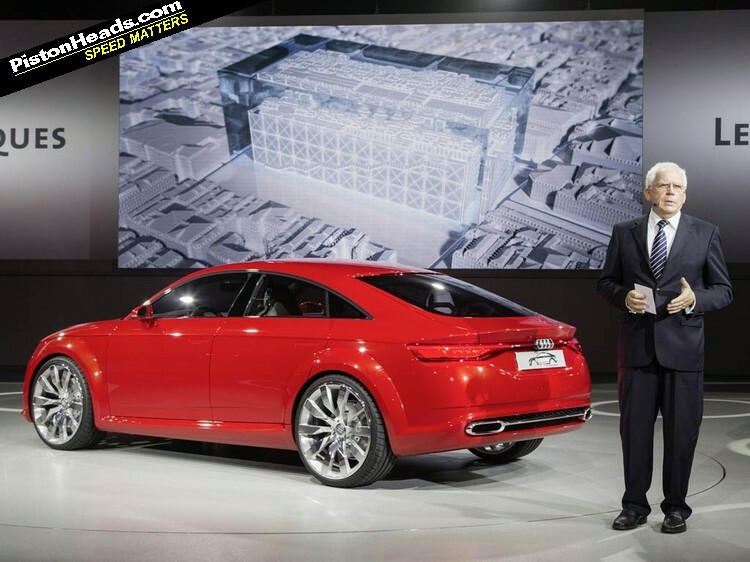 I suppose its a kind of low roof A3 saloon. Sort of. Maybe. Not actually a bad effort, it could have had terrible proportions.